Looking for insurance brokers in Sherwood Park? Turn to Tailor Made Insurance. Since 1993, Tailor Made Insurance has been providing homeowners, businesses, farmers, and other residents of Sherwood Park and the surrounding areas with auto, boat, property, business, farm, recreational, and travel insurance. 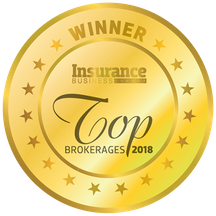 As a family-owned, independent insurance broker, we are committed to providing the most practical and affordable insurance products and services on the market today. Our team is flexible and accommodating, ready to work with you to find the best insurance solution for you and your family. By working with local and global insurance companies, Tailor Made Insurance can offer a wide variety of plans that fit your budget. At Tailor Made Insurance, we like to meet our clients in person -- which is what sets our company apart from others. Although we are able and happy to serve you over the Internet, we enjoy seeing you face-to-face to ensure that your needs are being met. We are also happy to provide any additional resources or information you need to make an informed decision about your insurance needs. Count on Tailor Made Insurance to provide you with prompt, accurate, and courteous service. We try to make sure you won’t have to wait long to get a quote or to get service on a claim. You can find us in Sherwood Park, Gibbons, St. Albert, or one of our many other locations.